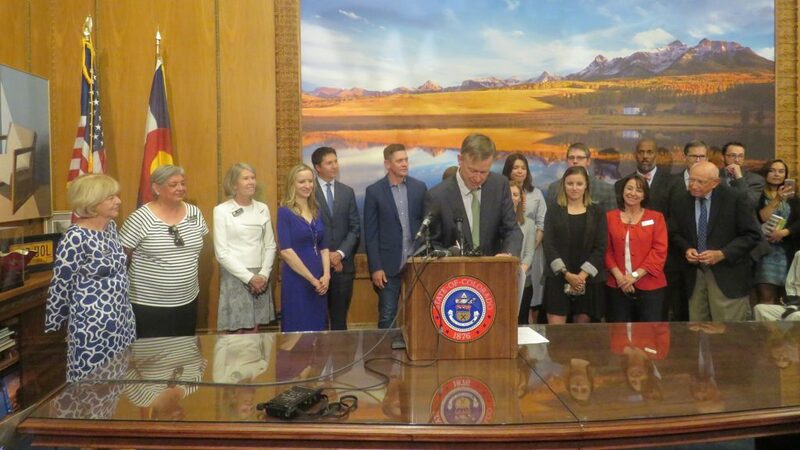 Back in 2016, Colorado Succeeds championed an innovative pilot that provides financial incentives to schools based on the number of students completing industry credential programs tied to in-demand jobs and industries in Colorado. In the first year, there was an overwhelming demand for this program. In the first year of implementation (2016-2017), students completed 3,106 total qualifying credentials/courses, and year 2 results look even better. Over this time, industry credential attainment in Colorado has increased significantly from a few hundred to thousands over the past three years. We believe this program has contributed significantly to industry credential attainment while in high school. The majority of credentials were earned in Skilled Trades & Technical Services (31%), STEM & IT (26%), Health Care & Criminal Justice (25%) and Hospitality, Human Services & Education (16%). 37 school districts (35% rural and 10% charter) in Colorado reported students who completed qualified industry credential programs or Advanced Placement computer science courses. This is nearly a 40% increase in school district participation over the 2016-2017 school year. In its first two years, the program has received requests for completion of nearly 9,000 industry credentials earned by students and distributed incentives for 3,000 credentials, less than half of the credentials earned. Current funding is $2 million per year, which is an increase from $1 million in 2017. The $3 million of funding over two years has covered one-third of all eligible credentials earned (requests total $9,000,000). The Colorado Department of Education anticipates receiving at least $6 million in requests for 2018-19. Participating districts or charter schools receive up to $1,000 in incentive funds for each high school student who successfully completes qualified industry credential programs, internships, residencies, construction pre-apprenticeship or construction apprenticeship programs, or qualified Advanced Placement (AP) courses. Want to get extra funding for your school? Click here to learn how your school district can participate in this program. *Career Development Incentive Program data has been sourced from the recently released Colorado Department of Education fact sheet available here.